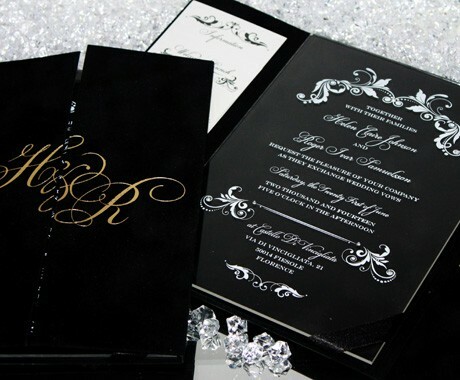 This stunning Invitation Suite exudes sheer class and luxury and is a clear Perspex Invitation printed in White Foiling, with a scattering of Diamantes. 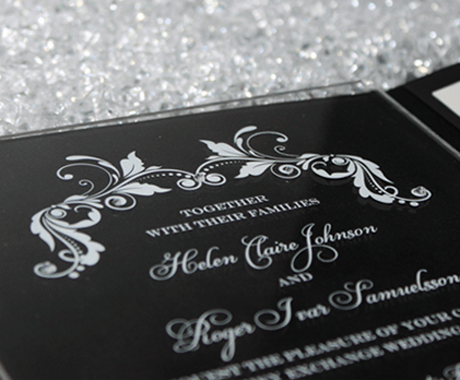 The floral design followed through onto all the inserts, printed in Black Thermography and nestled in a bespoke, Black, Suede, Gatefold, Pocketfold. 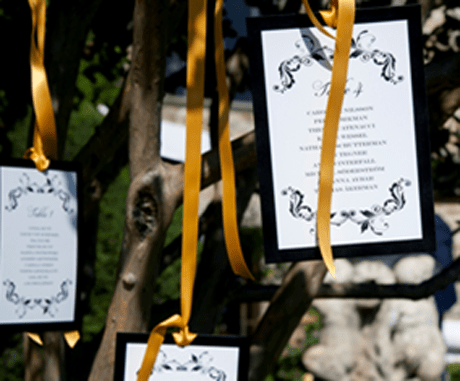 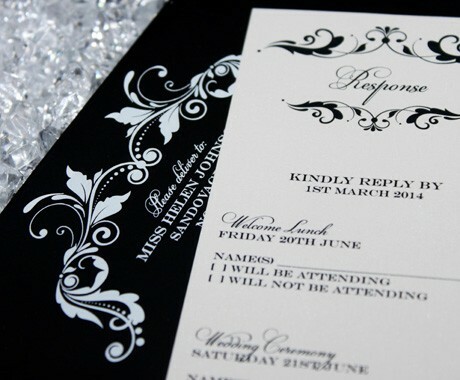 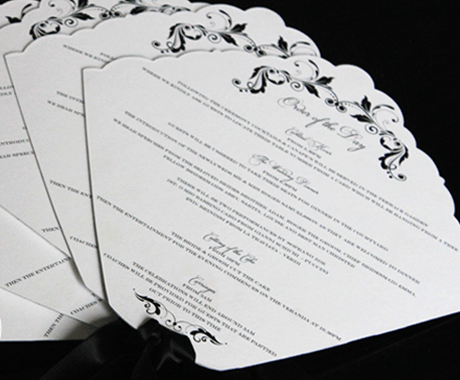 As well as the Invitations, I also designed the Menus, Table Numbers, Thank You Cards and Order of Service fans – yes, fans! 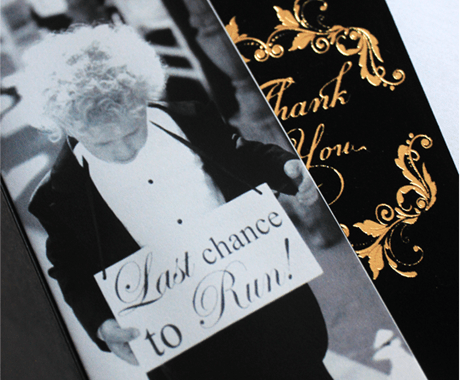 Helen and Roger loved the Invitations and Stationery so much that I was asked to design their Thank You Cards to include a photograph of their adorable son on their wedding day. 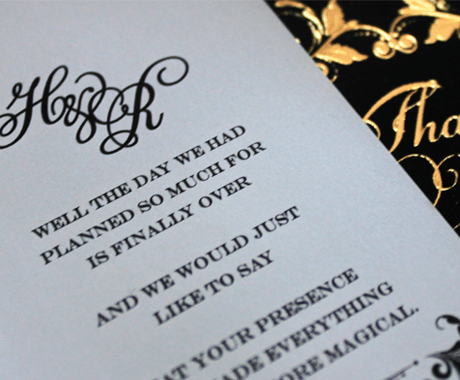 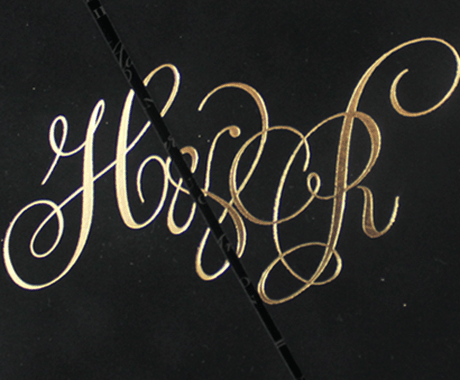 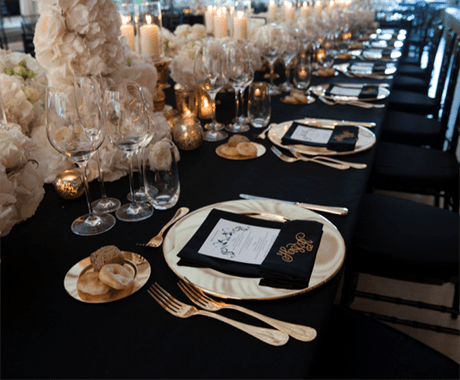 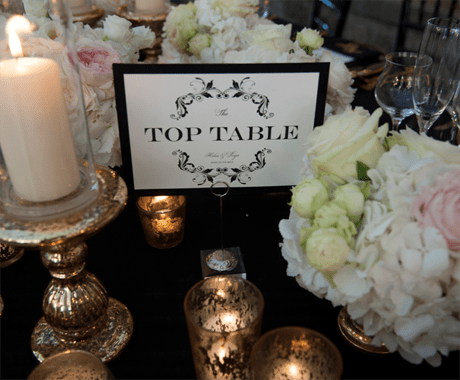 So I kept the same design them, the same Black Suede Card with Gold Foiling and there you have it – the perfect ending to a gorgeous ensemble!